A day on a warm river…. 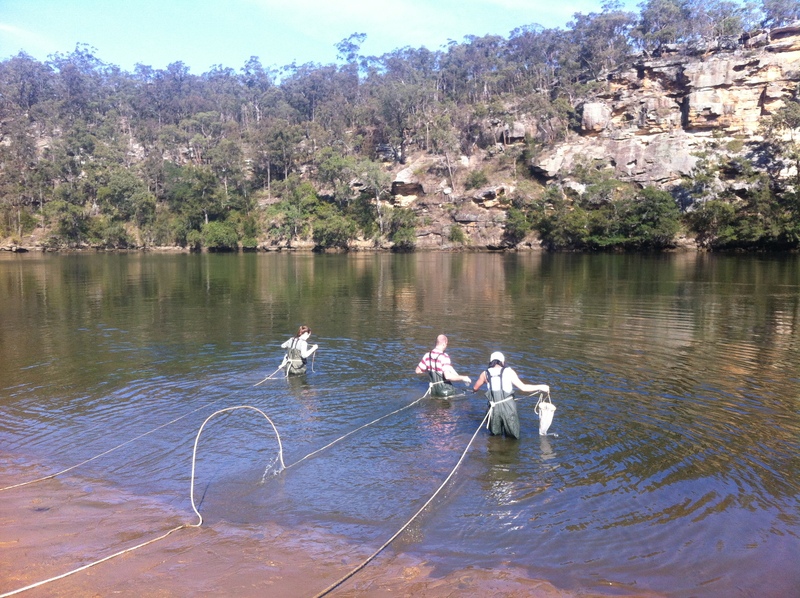 Our brilliant sunshiney classroom for the day yesterday was the Hawkesbury River at Sackville North. 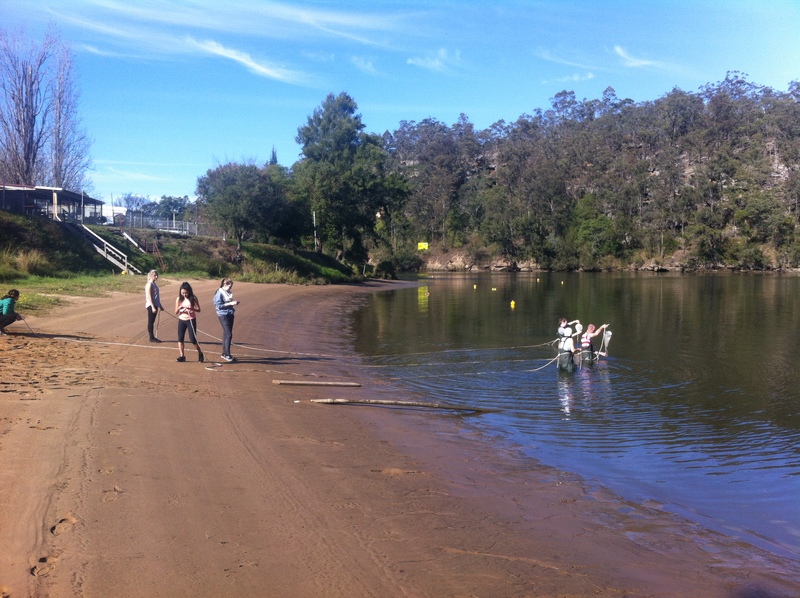 Senior Geography students from Cherrybrook Technology High School enjoyed the winter sun and a pleasant 19 degrees as they assessed the health of our beautiful river. This program called River Ecology (Water for Living) has been running for the last 5 years with the help of the University of Western Sydney. They provide us with boats, monitoring equipment and expertise to enhance student outcomes. Data has been kept for all this time and it will be interesting to analyse how things have changed. We compared some data collected yesterday to the data that this same school collected in 2011 and one interesting fact stood out. At the same time of year in 2011 the water was a whopping 2 degrees cooler. Given that we have had the warmest May on record and June is shaping up the same this result is not surprising. We are now keen to analyse all the data to see if there is a warming trend occurring. Water temperature impacts many things in the ecology of a river. As you can probably guess it promotes algal growth and the blooms of algae were noticeable on the river yesterday – unusual for this time of year. Too much algae can increase turbidity (muddiness) and reduce light penetration to aquatic plants. Warm water also holds less oxygen than cold water so extended periods of heat can influence the whole river food chain. The good news is we gave the river a pretty good scorecard in most areas yesterday after a rigorous physical. Other abiotic measures were as expected and we discovered some very pollution sensitive water bugs including mayfly nymphs and freshwater shrimp – this indicates clean water as these would not be present in highly polluted water. We identified a variety of algal species – mostly of the non-toxic or clean water kind and our expert for the day Dr Ian Wright confirmed that he had observed the health of the river improving over the last few decades. We discussed that river health is very much dictated by the qualtiy of our sewerage treatment plants (STP’s) discharge. 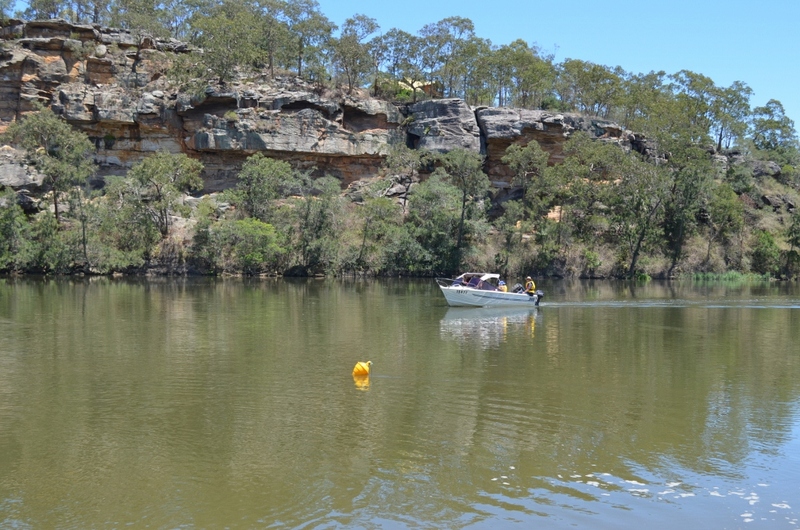 Over half the river flow in the Hawkesbury Nepean system can come from STP discharge (over 20 plants!) – so as our technology to clean wastewater and remove nutrients improves so should our river health. As Western Sydney seems to be in the midst of a housing development boom this will place increasing pressures on our rivers and streams. More houses = more toilets = more waste! So on that note I will leave you thinking on where our wastewater ends up…. in the river! ← YES! Youth Eco Summit 2014 – Sydney Olympic Park.